How To Import Old Blogger Comments Into Disqus? In this tutorial you will learn how to import/synced your old blogger blog's comments into a most used comment system on internet Disqus. 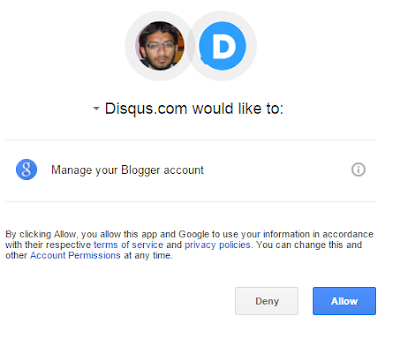 Easy steps which will help you to use Disqus on your blogger blog. Disqus is one of the most popular comment system on internet. Bloggers and webmasters are using it for years now. It is easy to use and easy to setup on Blogger Blog. 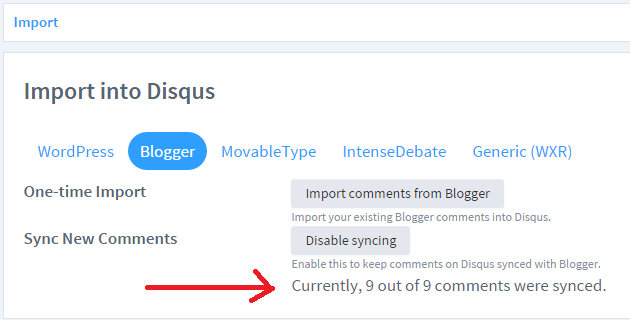 In my previous post, I have shown you How to install Disqus Comment System in Blogger Blog. But a common question arises in the minds before you switch to Disqus that what will happen to the old comments? The comments which we have already published on Blogger blog, will it be lost? If your blog is old and have some comments, I'm sure you are thinking the same. But here is a good news, Disqus let's you to import your old comments with just few clicks! So let's see how you can import your comments into Disqus! READ ALSO: How to install DISQUS Comment System in Blogger Blog? 1. Go to Disqus.com and signup or sign in. 3. Now once you you go the link above, you will be able to see the page Import into Disqus. Choose your Blogger Platform in the menu, and click on Import Comments from Blogger. 4. Once you click on Import Comments from Blogger, a new popup window will open and asks for permission (you can trust on them). So click on Allow button to continue. 5. After clicking Allow button, you will see a list of your Blogger blogs so choose the desired one. 6. Once you choose your blog, Disqus will start importing old comments form blogger blog. Wait for few seconds, now you will see message like this : -- out of -- comments were synced. That's it! You have successfully imported your Blogger comments into Disqus. Trickz Bucket: How To Import Old Blogger Comments Into Disqus?